Born in Marrakesh, Nathalie Sherman moved to the US at the age of six. She grew up in LA, moving to San Diego in 1984, where she met her husband Ken and graduated from UCSD. Working as a paralegal for years, it was not until the 1996 birth of her daughter, Sophia, that Nathalie began compulsively designing jewelry, learning everything she could about manufacturing what she dreamed up. 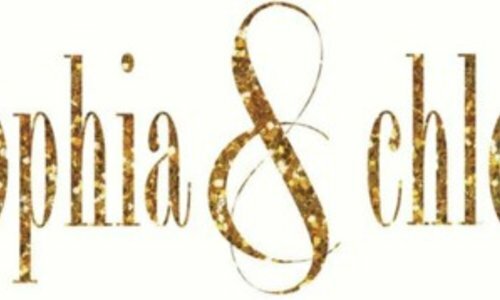 The line, originally eponymous, was renamed “SOPHIA & CHLOE” in 1999, when her daughter Chloe was born, appropriately paying homage to her ultimate inspiration. Completely self-taught, the designer has turned her passion and talent for design into a thriving business. Her work has evolved from dainty, fashion-oriented collections to bolder, more complex and evocative jewelry designs. Unchanged are Nathalie’s uncompromising quality standards and the decidedly feminine aesthetic she brings to each design. Twenty years later, it is easy to spot her distinctive hand in each SOPHIA & CHLOE piece. Heavily influenced by her heritage and home. Byzantine, Moroccan motifs are evident in Nathalie’s work, as is the casual easy feel of her beloved coastal San Diego where she lives with her family. 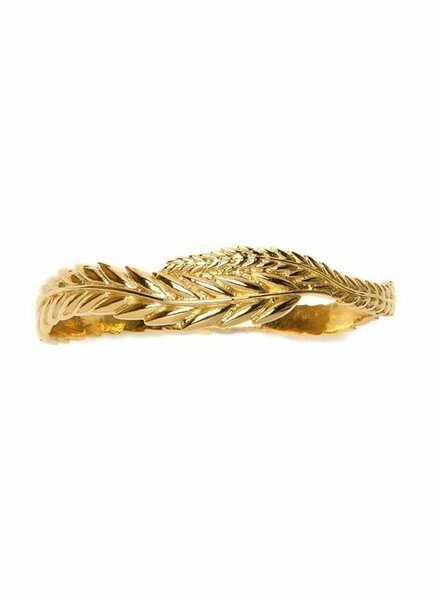 Her most recent, symbolic collections, SIGNS OF A GOOD LIFE, LANGUAGE OF BANGLES and OH SO CHARMING all feature symbols discreetly and artfully incorporated into each design, making each one its own totem of good luck and well being. These collections have been extremely well received and have provided endless inspiration for Nathalie. This Sophia and Chloe kiss bangle is inspired by henna, it has texture and a floral pattern. 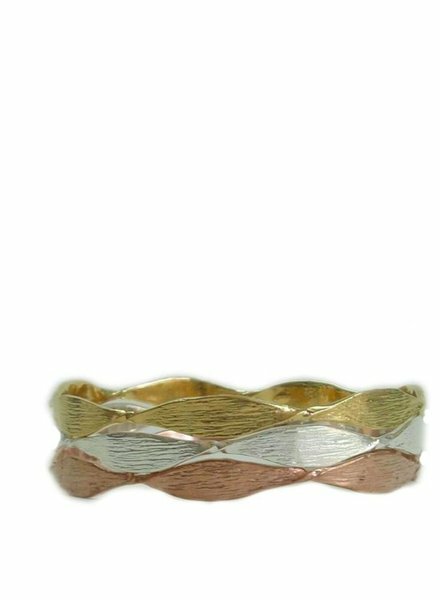 These bangles look great when there are many put together. This would be an unforgettable gift. 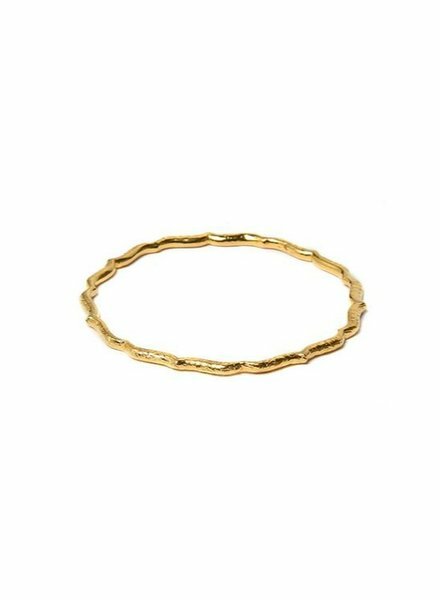 These Sophia and Chloe bangles can be worn alone or worn in multiples, or even with other bangles in the Sophia and Chloe brand. Some choose to wear them on their forearm which looks stunning. Sophia and Chloe Clarity bangle represents the symbol of clarity which is shown in the swirl shaping. The bangle has a subtle texture made by hammering. 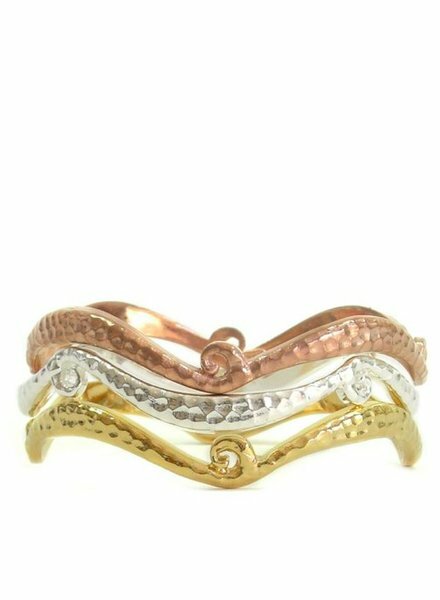 This bangle could be worn in multiples or alone. 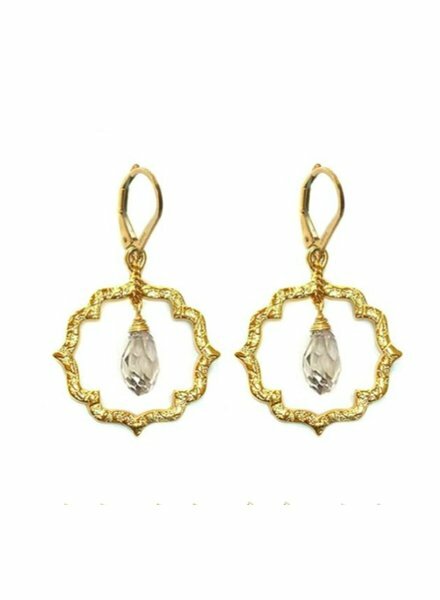 The dainty kiss moroccan earrings are a nice alternative to your typical hoop earrings. Mimics the Henna symbol for kiss. 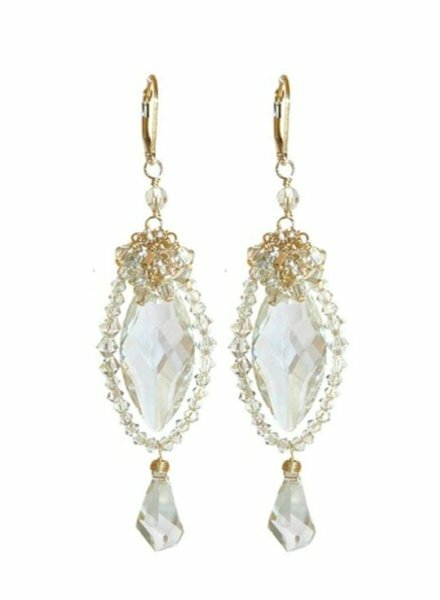 Kate fancy Swarovski crystal gold dangle earrings. 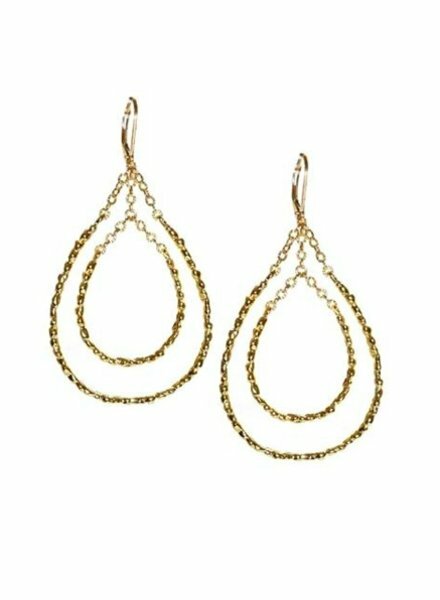 These classy earrings will dress up any outfit! 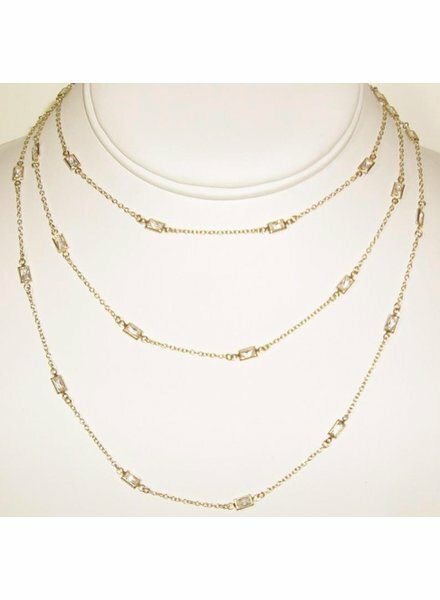 This Sophia and Chloe 36inch chain is simple but elegant. The chain has a square shape with clear CZ stones. 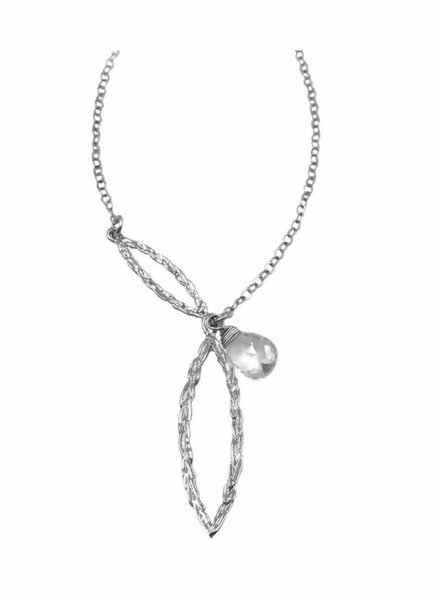 this necklace can be layered or dressed up and down, it is extremely versatile and a jewelry collection must.